I forgot to post this yesterday, but that's okay because I don't think many people are hanging on the edge of their seats! I had a series of interviews at the liberal arts consortium (Bantam Doubleday Dell, ABC News, and Barnes and Noble.com). The fact that I had to pay $200 a night for a hotel room in order to have interviews for jobs that paid around $20,000 a year in MANHATTAN should have tipped me off that this was not the world for me (but rather crazy people or those w/ trust funds). But, no matter. It was the first time I'd spent any significant time in the city. My mom accompanied me on the train and we stayed at at Marriott. 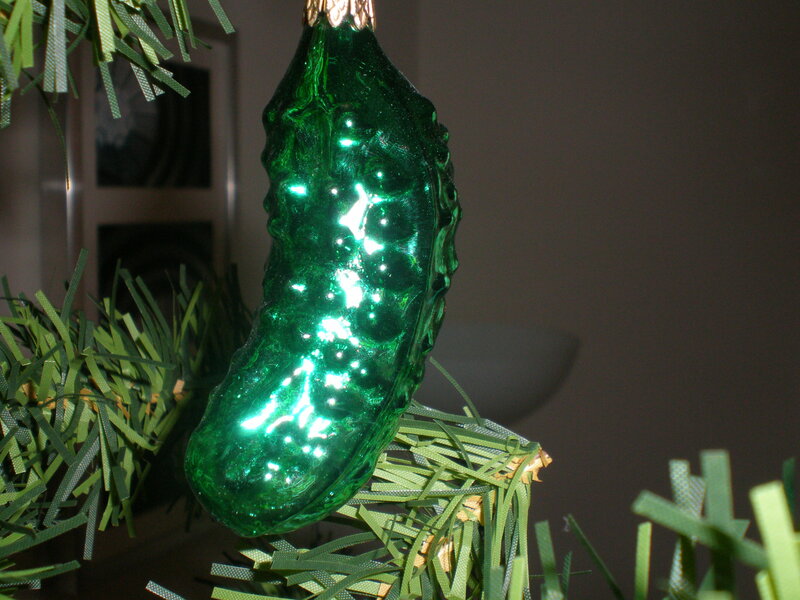 Macy's was having after Christmas sales, and I purchased a pickle ornament.